Los Angeles, CA, July 8, 2014 – Four Focusrite RedNet Dante-enabled multichannel audio interfaces were recently installed as part of a major renovation of the HD video control and broadcast production systems at the 7,800-seat Fifth Third Field, home to the Dayton Dragons Minor League Baseball (MiLB) team. The two RedNet 2 16-channel A-D/D-A and two RedNet 3 32 I/O digital interfaces enable access to and transport of audio signals across the production facility’s Dante network at near-zero latency. 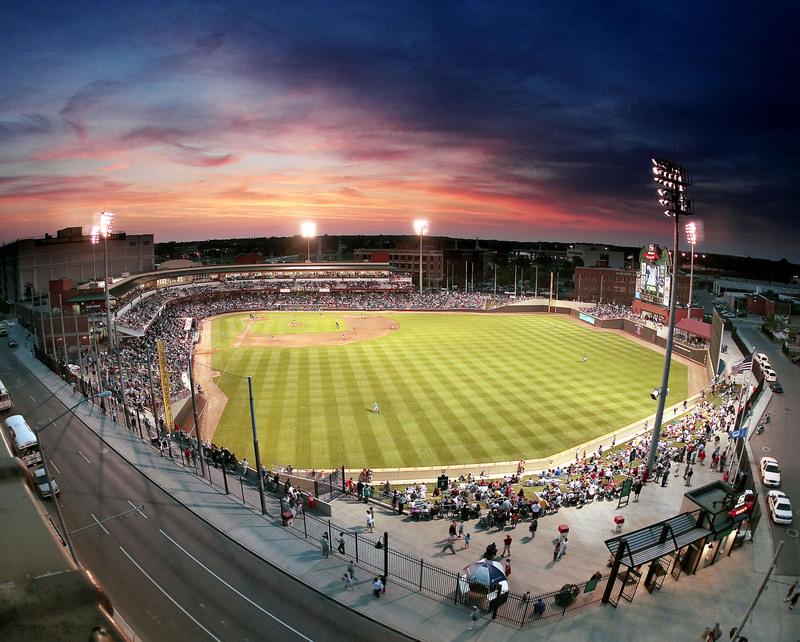 The Dayton Dragons, one of five MiLB teams owned and operated by Mandalay Baseball, is the Single-A affiliate of the Cincinnati Reds and holder of the record for the longest run of consecutive sold-out games—1,000, as of May 9, 2014—in all North American professional sports. Scott Rohrer, Creative Technologist with Mandalay Creative Services, led the in-house team that designed the new production systems, collaborating with consultants WJHW in Dallas, TX, to generate a Request for Proposal and selecting sports venue specialist integration firm Alpha Video Sports & Entertainment. Mandalay Baseball Properties (MBP) owns and operates the Dayton Dragons, Single-A Midwest League affiliate of the Cincinnati Reds; Pennsylvania’s Erie SeaWolves, Double-A Eastern League affiliate of the Detroit Tigers; the Frisco RoughRiders, Double-A Texas League affiliate of the Texas Rangers; the Oklahoma City RedHawks, Triple-A Pacific Coast League affiliate of the Houston Astros; and, in partnership with the New York Yankees, the Scranton/Wilkes-Barre RailRiders, Triple-A International League affiliate of the New York Yankees, also in Pennsylvania.